How Impressionists Work, Ways in which Impressionists Paint. Impressionist art violates all traditional academic rules of artistic painting when it first appeared in the 19th century. The objective was to portray the artist’s perceptual impression and recreate this impression to the eyes of the beholder, rather than recreate details of a reality as seen by the artist. It was a distinct departure from the realist style where brush strokes are less prominent in favor of near-photographic quality in the paintings. And while most realistic styles depicted historical and nobler subjects where the style tended to be more suitable, impressionists use their human faculties of perception to depict more mundane contemporary subjects that strike them the first time. Thick and short brush strokes aim top capture the essence of the subject and create an impression, rather than delving on its details. The painting style is often referred to as impasto. Sharp edges are rare. Instead, impressionist works have soft subject edges where wet paint is applied into wet paint of another color in successive strokes to produce soft edges between color transitions. Impressionist paintings do not use transparent or thin paint films (glazes) that realist artists employee to produce effects. Impressionist surfaces are often opaque. Natural light highlighted with close attention to the reflection of colours from one object to another. In morning scenes, shadows are boldly painted with the blue of the sky or whatever the color of the objected where they are cast, providing a sense of freshness not represented in earlier realist styles. Blue shadows on snow influenced this technique called diffused reflection that has become a hallmark of impressionist paintings. The Impressionists loved painting out of doors. The ever-changing face of nature lent itself perfectly to their interests in capturing fleeting moments of light and color. They used broken brush work and prismatic to convey nature's mutability. Impressionist’s landscapes almost always have a human presence. Even if people are absent, there frequently is something – a boat, or even a haystack – to give a sign of human activity. Suburban gardens and riverside paths, rural parks and woodlands, were the most familiar examples of nature for many of the Impressionists. For them nature was primarily a social experience. 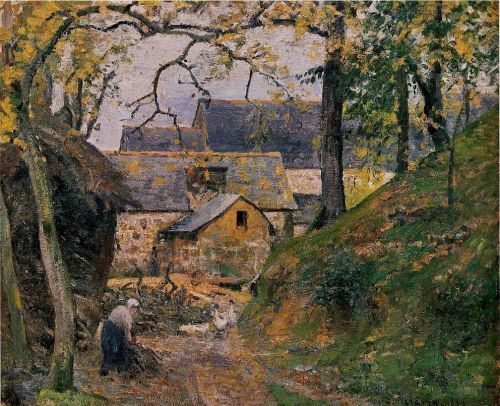 "[Pissaro] paints his country folks with no false glamour, simply, as he sees them." "Never before have paintings appeared to me to possess such an overwhelming dignity. One can almost hear the inner voices of the earth and sense the tree's burgeoning." Not every Impressionists painter focused on images of the middle class spending leisure time in gardens and parks. 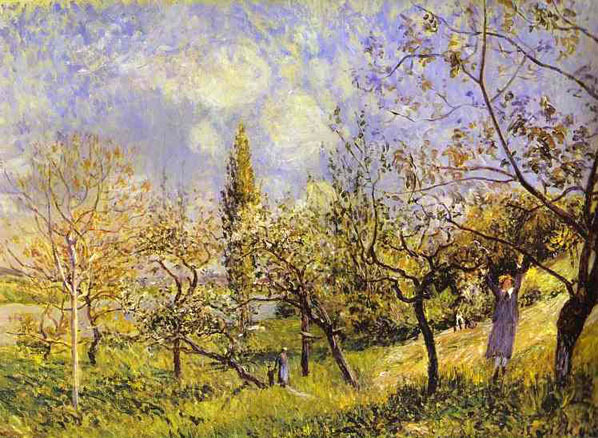 Camille Pissaro had another approach to painting outdoors. He was more interested in the working, rural people whose lives were intimately connected to the soil. Quickly applied brush strokes give Impressionists art the painterly illusion of movement and spontaneity. Even reflections on the water’s surface appear as substantial as any of the real objects in a scene. The artist were not interested in rendering details but rather wanted to create an effect of the whole scene as thought it was perceived in a single fleeting glance. 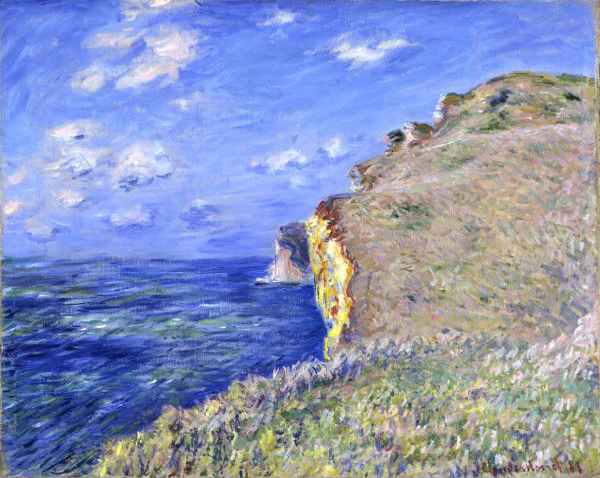 One way in which the Impressionists achieved an overall open and light effect was by priming their canvases with white or cream-colored paint. This made the pigments they used appear lighter and brighter. 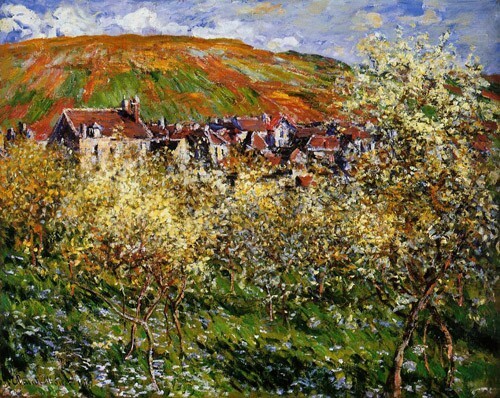 To read more on Impressionism Themes and their reviews please click here.